R-Drive Image supports all these technologies and can unlock their encrypted volumes (hard drives and images). 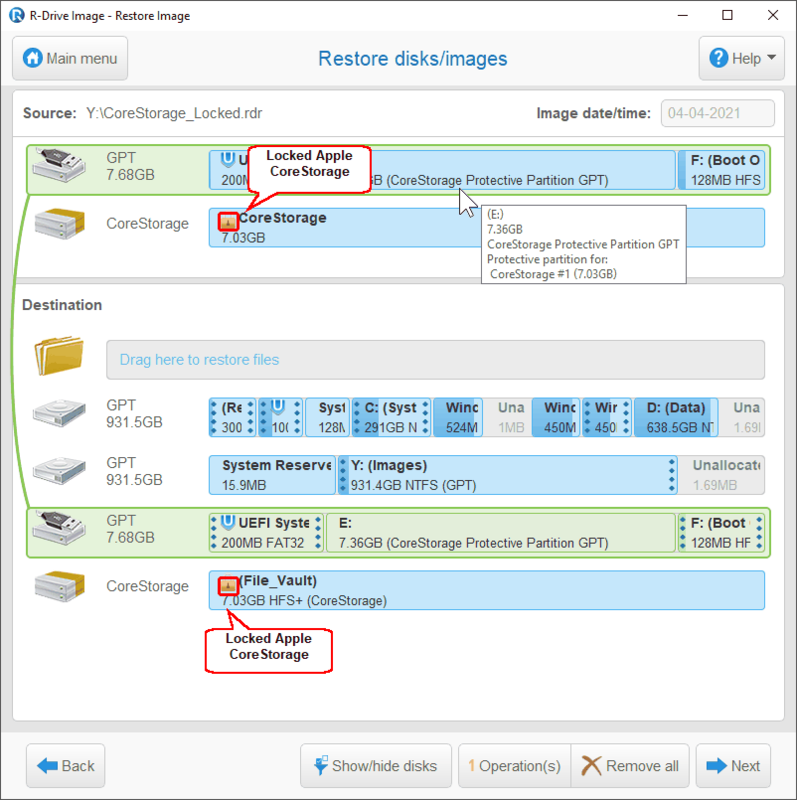 R-Drive Image displays both those volumes and their members on the Partition Selection panel. In the above case, the entire hard drive will be imaged. You may unlock encrypted volumes and image only them. Click the locked volume and enter the password in the Unlock encrypted drive dialog box. 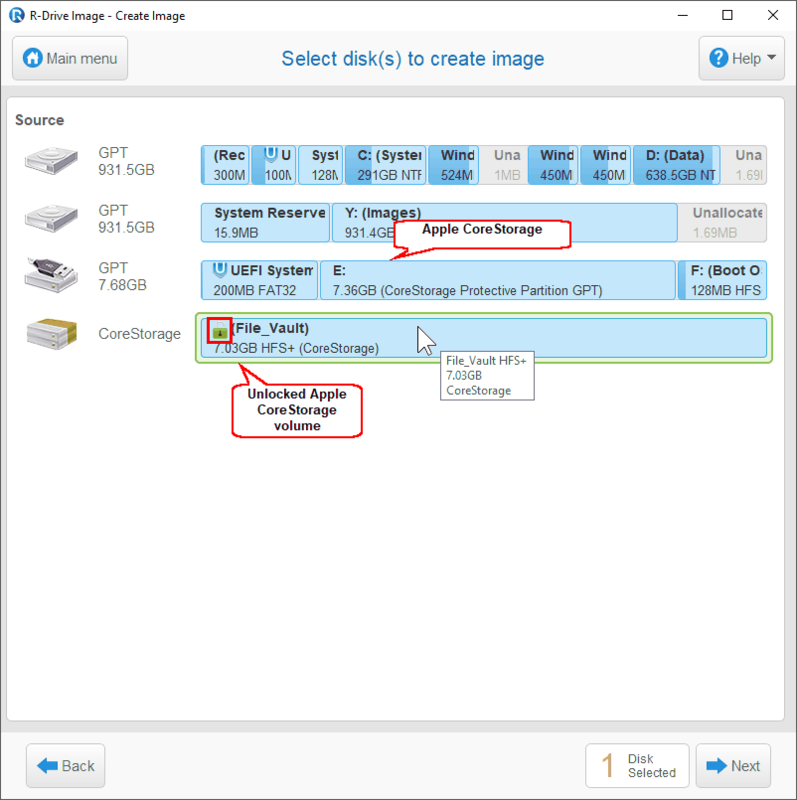 You may restore data from an image of an Apple CoreStorage/File Vault/Fusion Drive volume with the limitations described in the Support for Various Disk Partition Schemes and File Systems section. 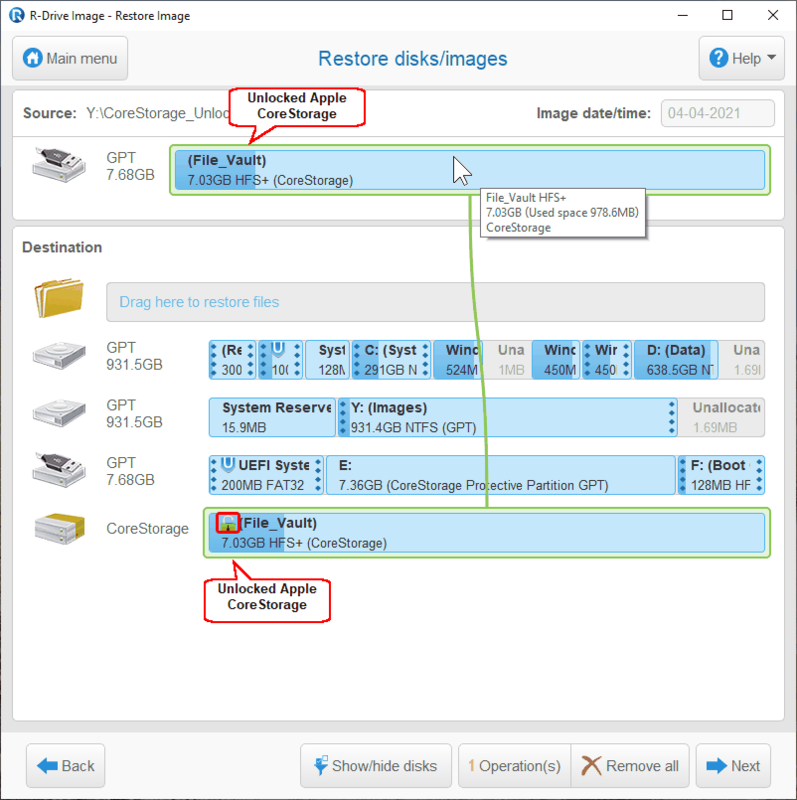 Data restore from an image of an entire storage device to another storage device. In this case the result will be the exact copy of the imaged storage device. 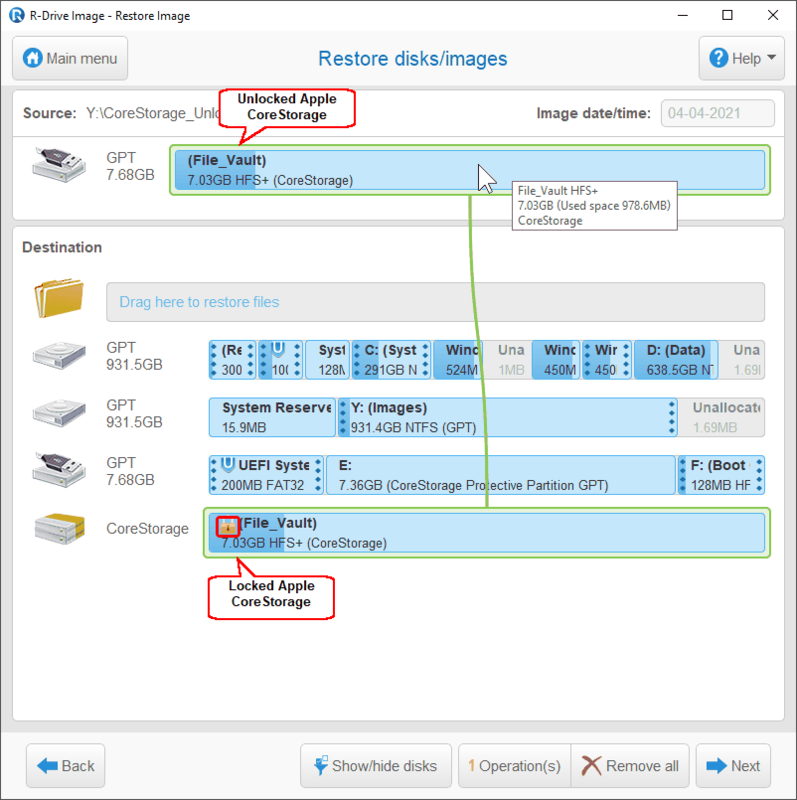 Data restore from an image of an unencrypted an Apple CoreStorage/File Vault/Fusion Drive volume device to the place of a locked encrypted volume. In this case the result will be an unencrypted volume on the place of the previous encrypted volume. 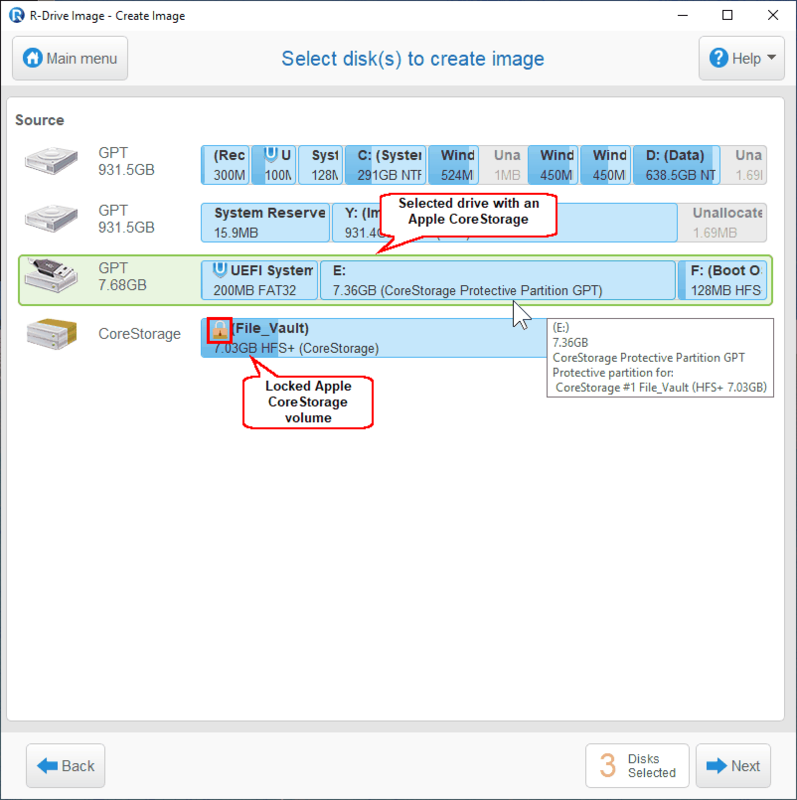 Data restore from an image of an unencrypted an Apple CoreStorage/File Vault/Fusion Drive volume device to the place of an unlocked encrypted volume. In this case the result will be an encrypted volume on the place of the previous encrypted volume..